"Therasauna® Infrared Therapy provides my patients with Toxic Relief." 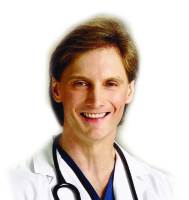 My medical practice specializes in alternative and nutritional medicine. Many different therapies are used: however, our primary focus is detoxification, nutritional counseling and support. Today’s modern world has caused new environmental issues thus increasing the number of pollutants and toxins that are inhaled, ingested or absorbed into our cells and tissues. Cells often become overwhelmed with toxins, there increasing the patient’s risk of cancer, heart disease, diabetes and other immune disorders. The body’s cells must receive proper nutrients and expel these harmful toxins to fight disease and function optimally. In my private practice each assessment starts with evaluation, counseling, and nutritional support, followed by my “Toxic Relief” program which includes toxin screenings, cleansing diet, fasting, chelation of heavy metals and Therasauna™ treatments. The infrared therapy of Therasauna™ stimulates the cellular metabolism and breaks up the water molecules that hold toxins within the body, thus allowing the body to void these toxins through perspiration. These treatments combined with a customized diet and nutritional program have vastly improved, restored and rejuvenated many of my patients at the cellular level. Therefore, allowing them to feel better and lead a healthier lifestyle. Bachelor of Science Degree in Biology and Degree in Medicine from Oral Roberts University. Graduate courses in nutrition, exercise, physiology, and preventative medicine from Loma linda University. 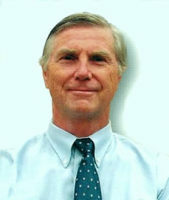 Author of 26 health books. Featured on the 700 Club and Newsweek magazine. I have practiced general surgery and cancer surgery for over 25 years. With regard to my surgical patients, I tell them when they have recovered from their surgery, that their work has just begun. I remind them that their two most important questions should be: why did I get this, and what will keep it from returning? I don’t profess to have all the answers. However, there are sound principles of foundational health that I have employed with my patients and have been pleased with the results. These include stress reduction, diet, exercise, rest, supplements, elimination, and detoxification. Detoxification is critical due to the increasing amounts of toxins in our diet and environ-ment. This includes fat soluble toxins such as PCBs, and hexane, and toxic minerals such as mercury, lead and cadmium. Part of my suggested program for toxin removal is the use of infrared sauna therapy. I have personally seen people recover from a multitude of problems including, insomnia, constipation, fibromyalgia, allergies, chronic infections, arthritis, and fatigue after a few weeks of sauna therapy. In addition, I have seen mercury levels (as measured in the blood) drop 400% in less than a month. to most everyone regardless of age. "Detoxification is critical for my patients."